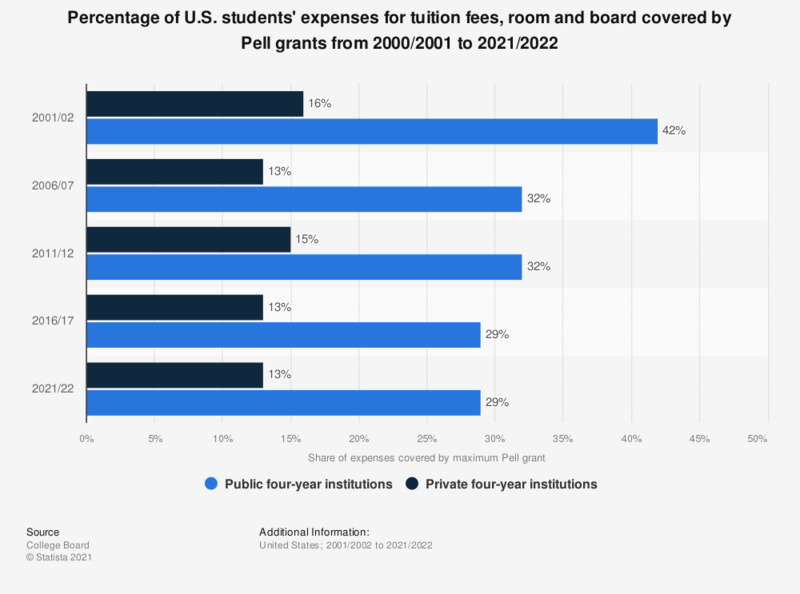 The statistic shows the share of U.S. college students' expenses that can be covered by the maximum Pell grant, from the academic year 1998/99 until 2017/18. In 2017-18, it was possible for U.S. students, studying in public four-year institutions, to cover 29 percent of their expenses with the aid of the federal grant program. Expenses include tuition, fees, room, and board at public four-year institutions. When you leave university, how much do you estimate you will you owe on your student loan/maintenance loans?